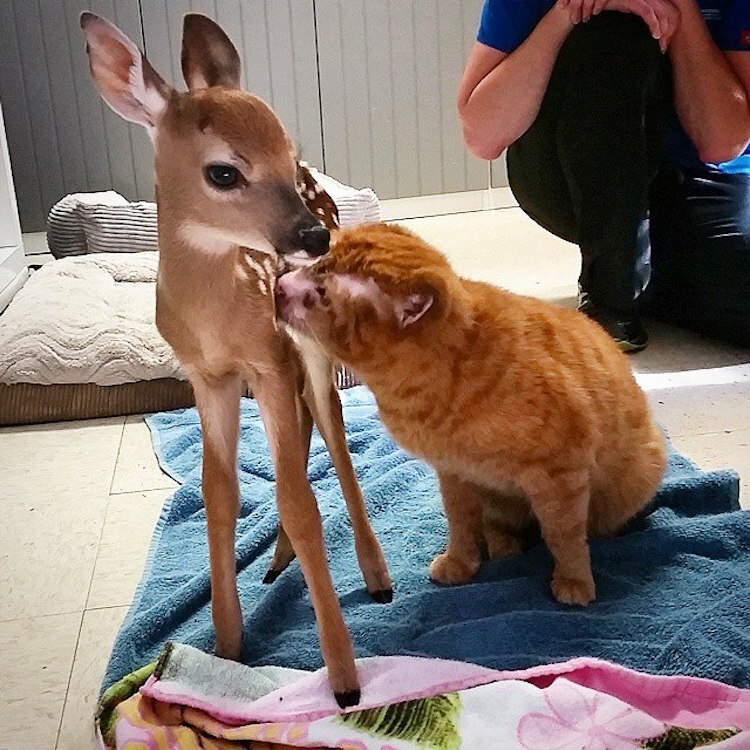 A beautiful and resilient orange tabby named Russell, who is being treated for injuries that he sustained in an accidental house fire over a year ago, provides comfort to other injured animals at the Animal Emergency Hospital and Urgent Care facility in Raleigh, North Carolina. 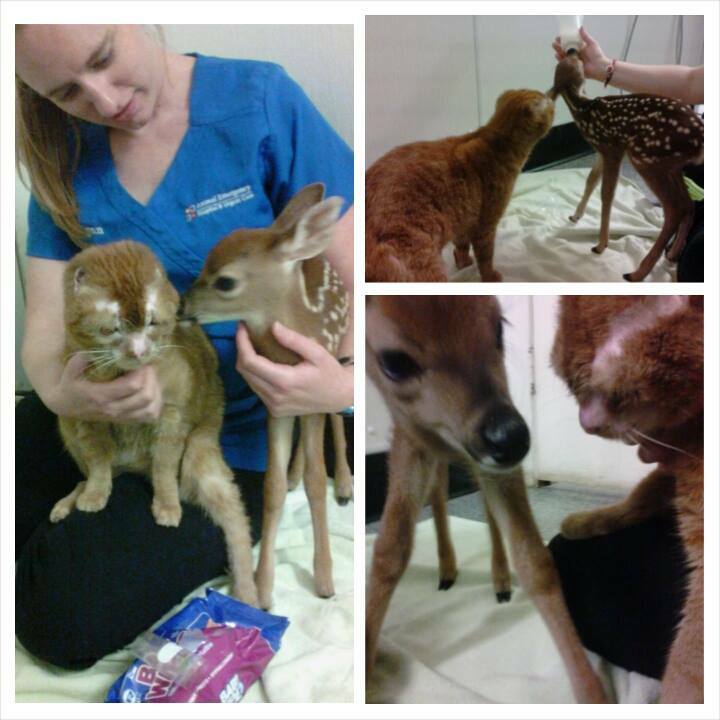 Vet tech Megan Maus spoke with The Huffington Post about Russell. He wants to be friends with every animal. He’s a very inquisitive cat. A very loving little cat. …it is utterly clear that he does something very special for everyone who gets to know him. 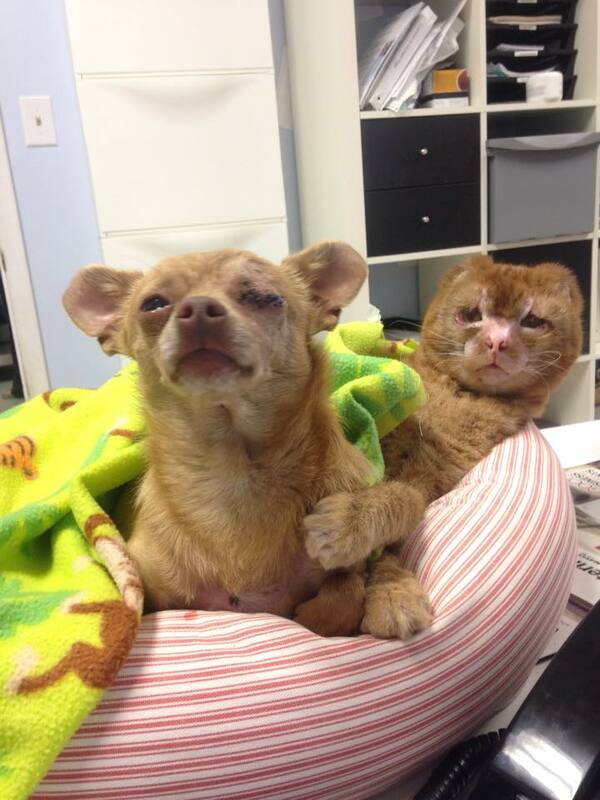 He helps give them some hope, him being such a little cat of perseverance.